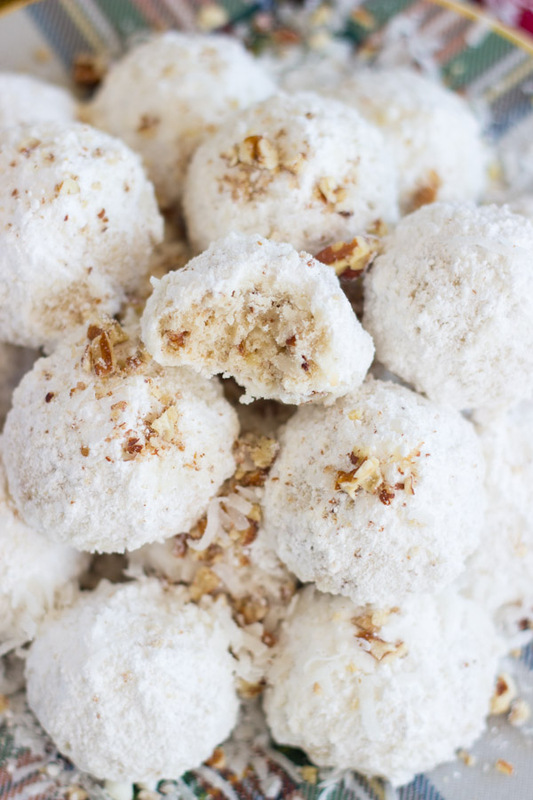 Melt-in-your-mouth, classic Snowball cookies get an upgrade with toasted pecans and coconut. 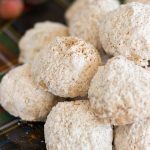 With just two simple ingredients, these Coconut Pecan Snowballs are a fabulous twist on the traditional cookie. “How many kinds of Snowballs are there??! !” I keep hearing my friend ask me that when I was telling her about Snowball week. She makes Chocolate Snowballs, and that’s the only kind. 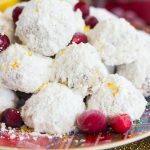 Funnily enough, I’ve never made Chocolate Snowballs! I need to though. They have to be divine. I had more than a dozen ideas for Snowball week. I slashed it down to 5, and I’m stashing away the remaining ideas for next year. Chocolate Snowballs were never even on the list! They occurred to me for about .02 seconds, but never made the list. I guess it’s because we have a few other chocolate cookie recipes that we make around Christmastime, so I didn’t need another. Then again, can you ever have enough? 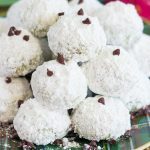 Is it crazy to think that Chocolate Snowballs would make for a good Valentine’s Day cookie? I think not. Filing that thought away til February. 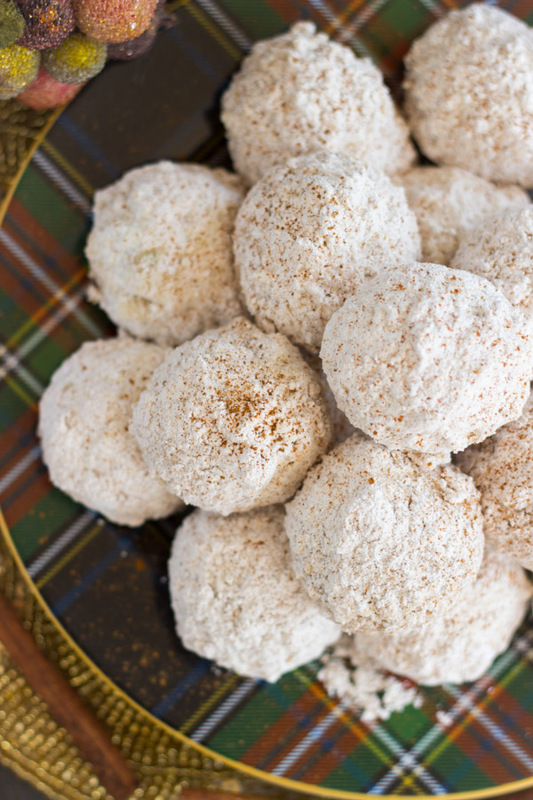 The Chai-Spiced Snowballs are my personal favorite, but these are all such great recipes. 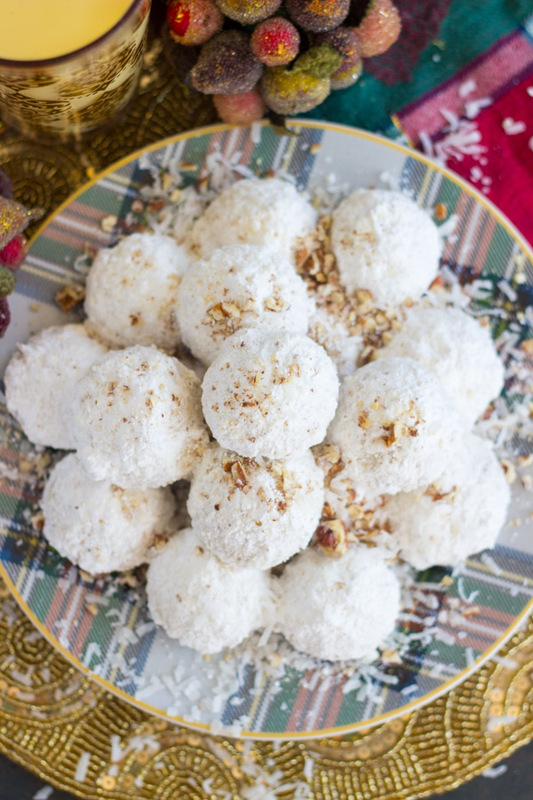 The Cranberry Orange Snowballs are super lovely too. 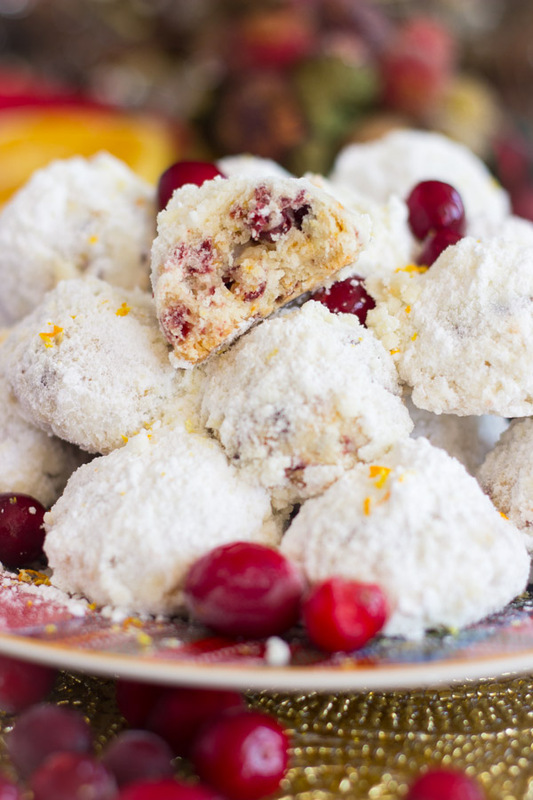 There is no way to go wrong with cranberry and orange together in a delicate, melt-in-your-mouth cookie. I gave a bunch of cookies away, and I honestly had a hard time parting with all the varieties. 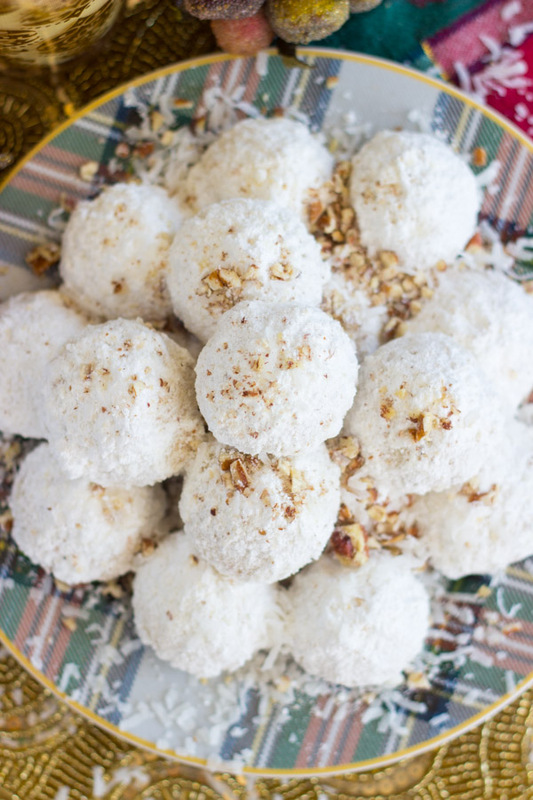 These Coconut Pecan Snowballs were particularly tough to let go of. I held back quite a few because they were too good to share. That’s terrible, but it’s the truth. Take a few minutes to toast the pecans – it makes a big difference. Heck, toast the coconut too. I forgot, but you should definitely do it. 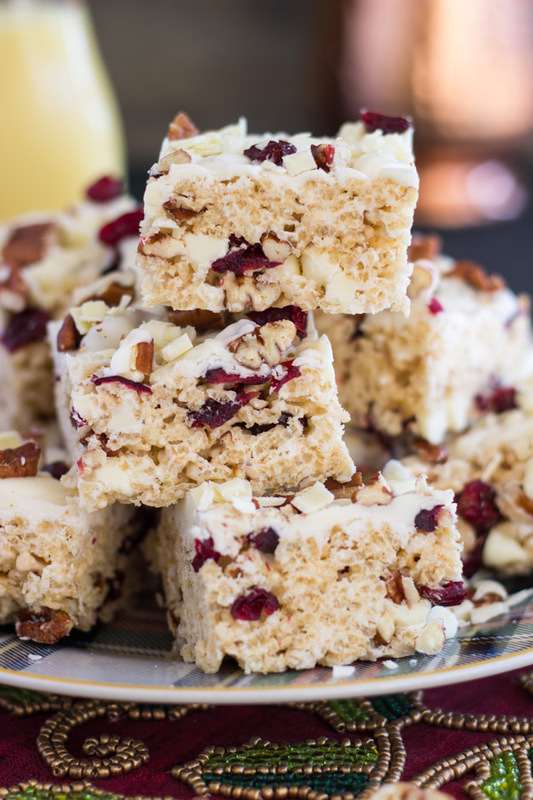 Toasted pecans, toasted coconut, is there anything better? 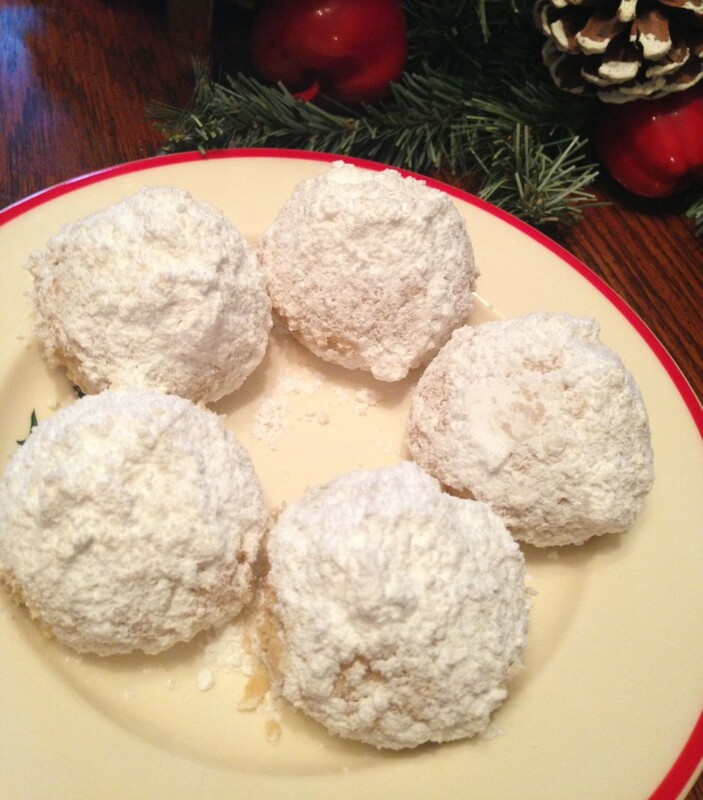 In a sweet and simple, perfect Snowball cookie. 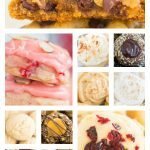 Your holiday cookie tray is really shaping up nicely!!! 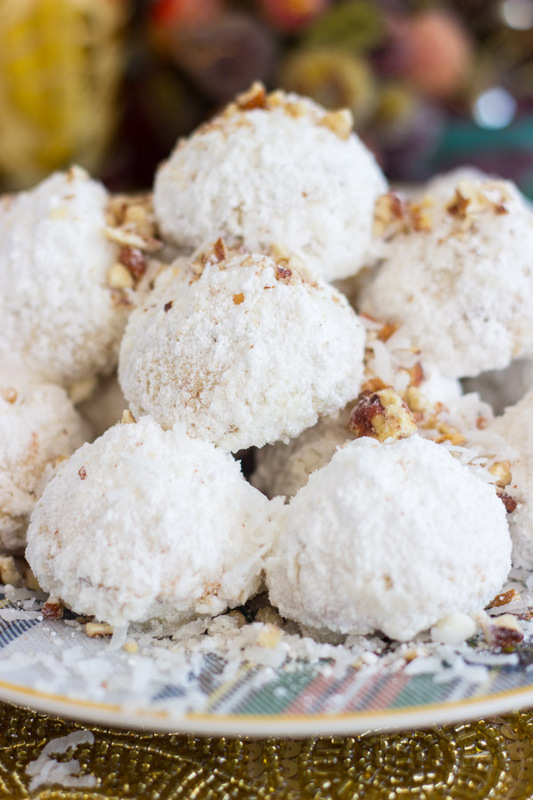 You’ve got to include these Coconut Pecan Snowballs! 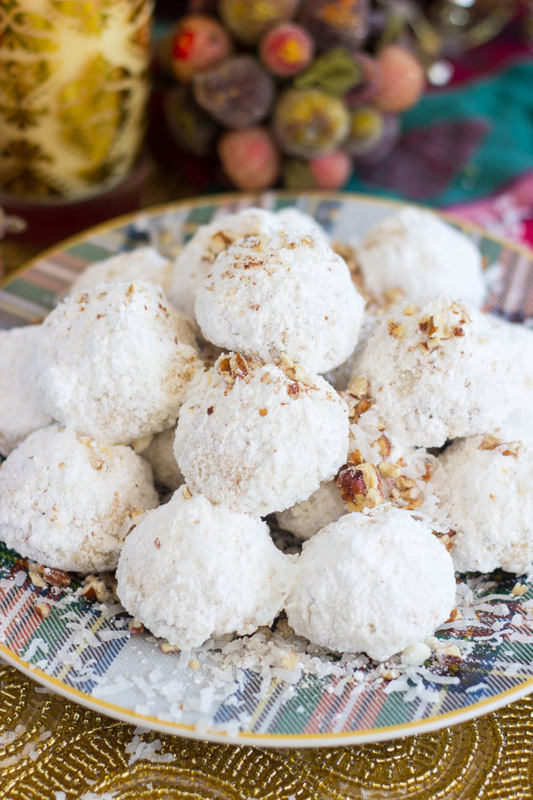 In a large mixing bowl, beat shortening, 1/2 c. powdered sugar, flour, coconut, pecans, and vanilla, until well-combined. 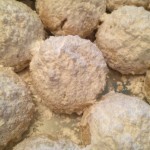 Place remaining powdered sugar in a medium bowl. YES! I’m so ready for spring baking!!! I keep dreaming about pastel things and Easter recipes. Lol! I never thought that would happen, but I’m ready! Wow, these look so yummy. I love coconut and pecans. 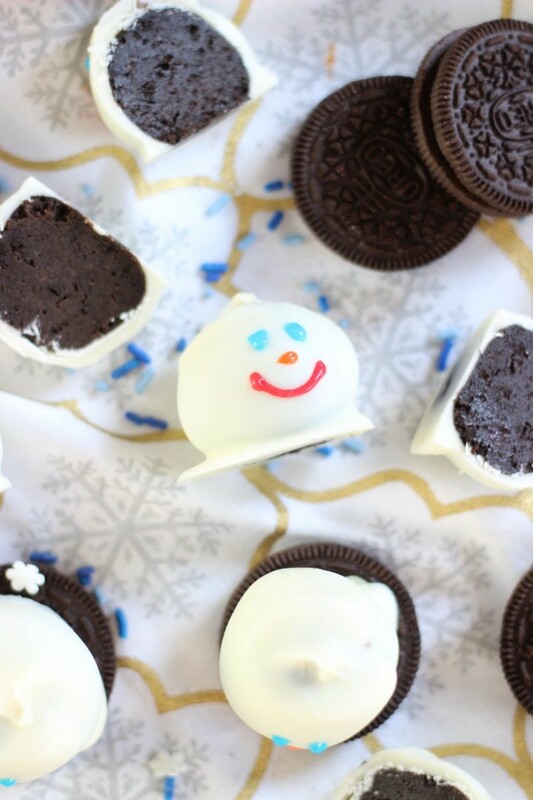 These sound incredible and I’m also eyeballing the melting snowmen 😉 Thanks for sharing these recipes with us at Funtastic Friday! Pinning! 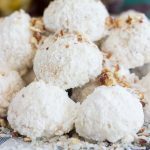 Just made my 1st batch of Coconut Pecan Snowballs!turned out great! 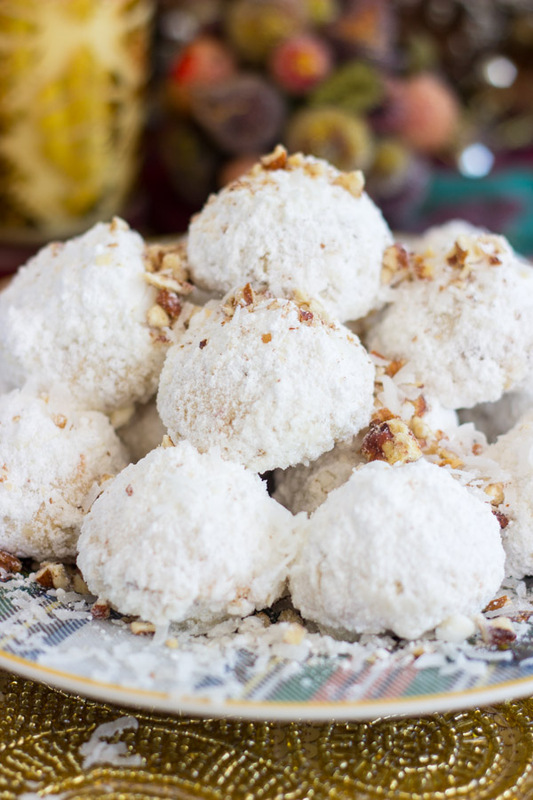 Your Coconut Pecan Snowballs look fantastic and will be a great treat anytime! Thanks so much for sharing your awesome recipe with us at Full Plate Thursday! Hope you are having a wonderful week and hope to see you soon! All of these look so delicious! Thanks for linking up with us at Share the Wealth Sunday!